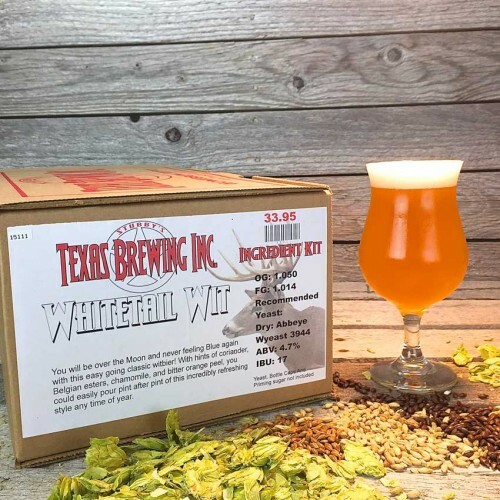 Whitetail Wit - Extract Beer Recipe Kit - Texas Brewing Inc.
You will be over the moon and never feel blue again with this easy going classic Witbeer! 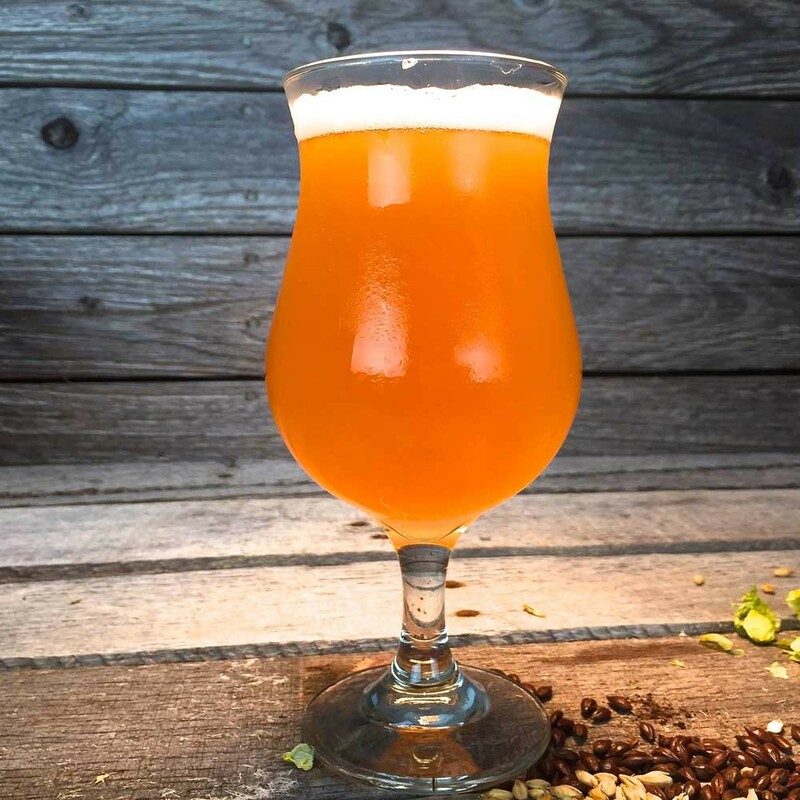 With hints of coriander, Belgian easters, Chamomile, and bitter orange peel, you could easily pour pint after pint of this incredibly refreshing style any time of the year. 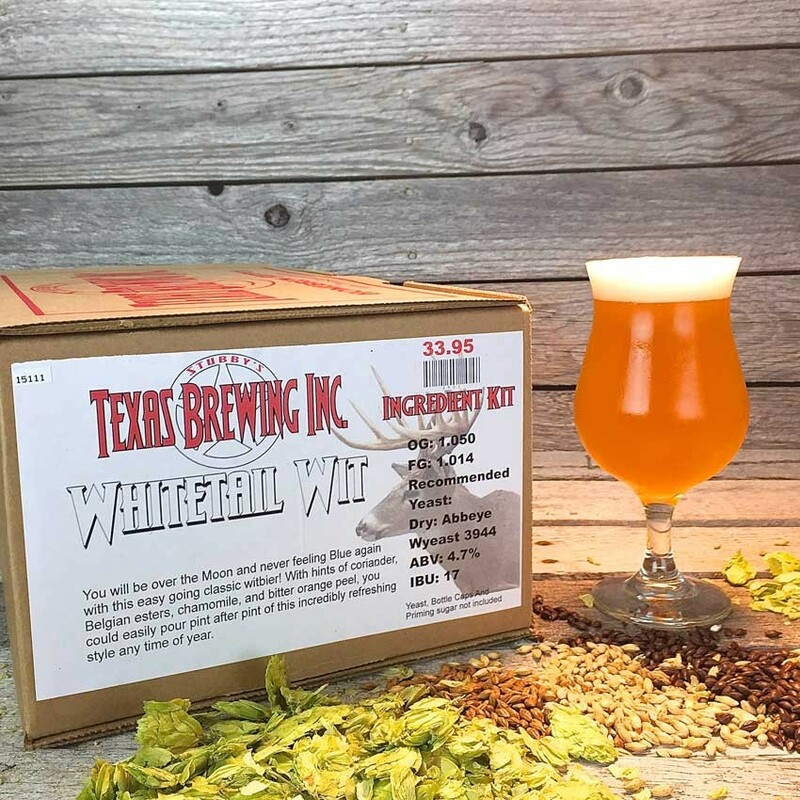 Made this kit this summer for a family reunion and wanted to give the commercial beer folks something to drool over...this did the trick!